In early October I’m giving a keynote at a conference in Leipzig on Imaginations and Processes of Spatialization under the Global Condition. There’s an interesting interview with the organiser Steffi Marung here, and you can find the full programme (in English) and more details here. I’ve been trying to work out what I might do, and this is what I’ve come up with; it’s still a draft, and the presentation is very much in development, so I’d welcome any comments or suggestions. I see this as part of a comprehensive re-working of my essay on “The everywhere war” – which desperately needs it (it was written to order and in very short order). 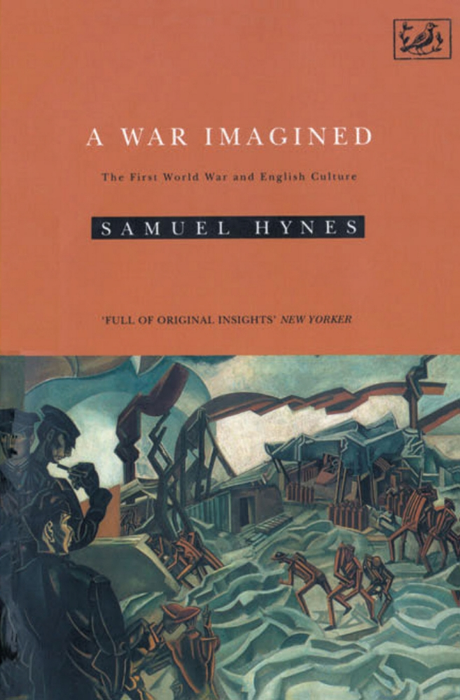 When Samuel Hynes wrote his classic account of A War Imagined he identified two ways in which the First World War transformed English (and by implication European) culture. 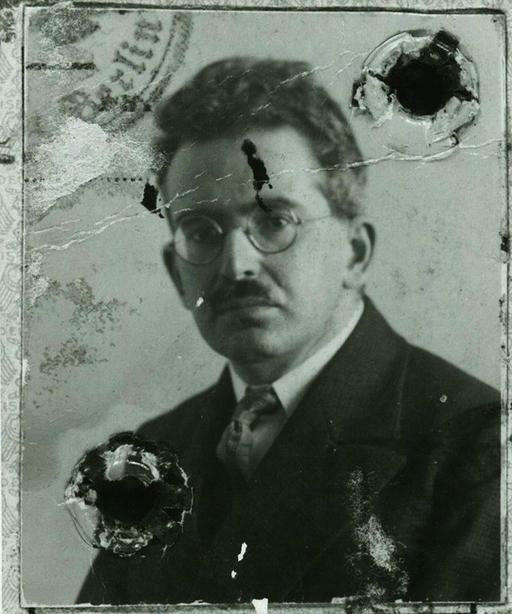 First the emergence of a new visual field disclosed military violence in selective but none the less shocking ways: the half-tone block allowed photographs to be printed in newspapers, and cinema provided an even more vivid rendering of industrialised violence. Second the new dislocation of time and space was epitomised in what Hynes called ‘the death of landscape’ – the ‘annihilation of Nature’ and the monstrous appearance of ‘anti-landscape’ – and the substitution of abstract, ‘de-rationalized and de-familiarized’ spaces of pulverized geometries. 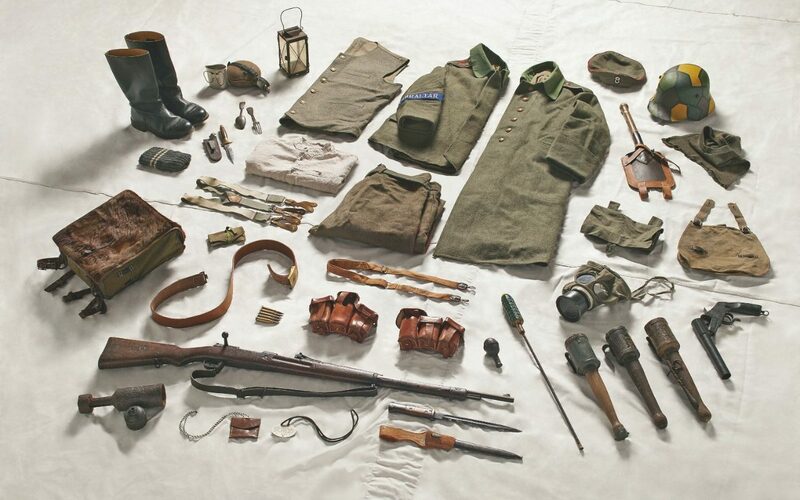 This presentation explores the implications of Hynes’s views for the imaginative geographies of later modern war. Less concerned with representation – with images as mirrors of military violence – I focus on performative effects and, in the company of Judith Butler, consider the ways in which imaginative geographies enter into the very conduct of war. The visual technologies are different, so I pay close attention to the digital production of targets and to counter-geographies that fill these spaces with ordinary men, women and children. The formation of this counter-public sphere is contested – propaganda has never been more aggressive in its deformations – and so I also examine the implications of a ‘post-truth regime’ for critical thought and action. 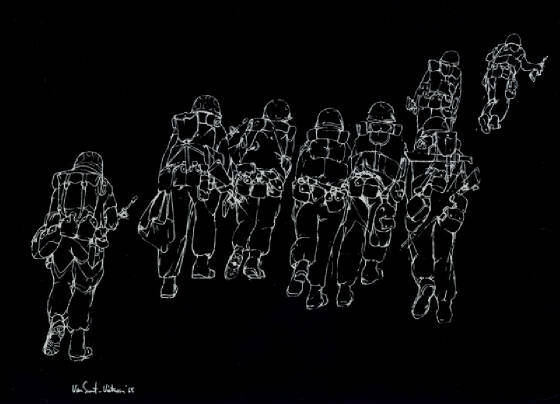 But the spaces of military and paramilitary violence are different too – no longer abstract and linear – and I suggest some of the ways in which an embodied corpography can subvert the cartographic imaginaries of previous modern wars. This critical manoeuvre also has vital implications for international humanitarian law and the constitution of war zones as what, not following Giorgio Agamben, I treat as spaces of exception. Throughout I draw on examples from my research on Afghanistan, Gaza, Iraq and Syria. 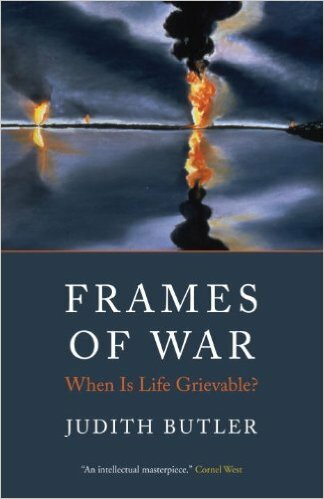 If you don’t know Hynes’ book, first published in 1990 – it helped me think through some of the ideas I sketched in “The natures of war” – here is a review by P.N. Furbank from the LRB. In an early phase of my work on later modern war I explored the so-called ‘cultural turn’ in US counterinsurgency and its invasive mapping of ‘human terrain’, and as part of the attempt to impel (and interpellate) US soldiers into what I called this ‘rush to the intimate’ I considered the role-playing simulations acted out in mock Iraqi villages and towns fabricated for pre-deployment training in the continental United States (see ‘The rush to the Intimate’: DOWNLOADS tab). In the interim many more detailed studies have appeared, but one of the most imaginative and insightful can be found in Cultural Anthropology (32/1) (February 2017): Nomi Stone‘s Living the laughscream: human technology and effective maneuvers in the Iraq war (open access). 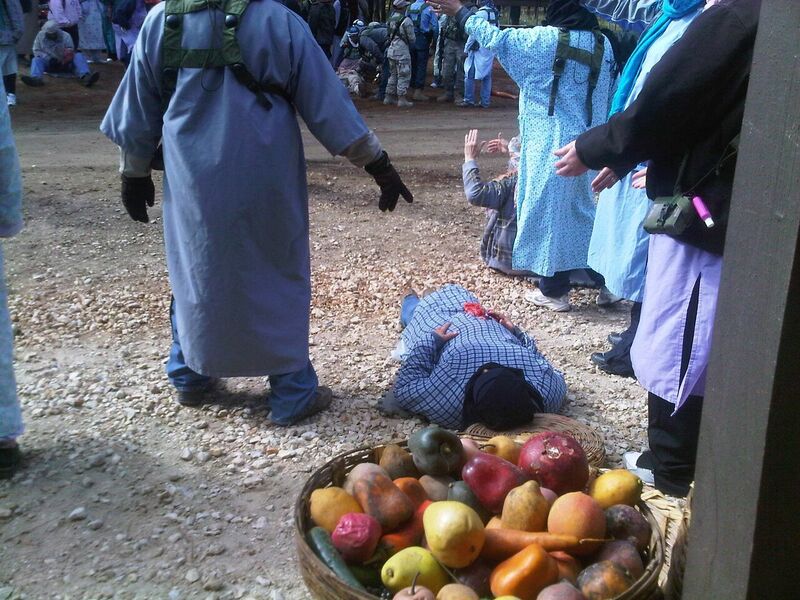 Amid this artifice, role-players have been hired to enact Middle Eastern villagers authentically—not by their own measures, but rather within prescribed military terms. Role-players are asked to be exemplars of their cultures and those cultures must be synchronic, pruned of their excesses and any relationship to the outside: Iraqis, as it were, in a box. However … the Iraqis who worked for the American military first as interpreters and contractors in the 2003 Iraq War and subsequently as role-players are a somewhat unique subset of the population; indeed, they are often quite far removed from the U.S. military’s imagined characteristics of a prototypical Iraqi. Not only are many of them educated, they are also particularly versed in American culture and critical of Iraqi politics. They typically bear an ambivalent relationship to both countries as they negotiate past accusations, allegiances, and the prospect of assimilation. Many show little trust for outsiders and even less for each other, and because of their dangerous affiliations in wartime, they have learned to chameleon in most circumstances. As they are turned into stereotypes inside an archetypal village, and as they act out wartime precarity so often that their homes and their losses turn into even more estranging archetypes, they laugh. The machine thus turns out to be made of flesh. Role-players inject new ways of being, in part through laughter, into their performances. Those interjections indicate the limits of a military fantasy that believes human beings can be wholly resourced and turned into technologies. This is on my mind because this past term, in a series of lectures on performance and performativity – the differences between them and the dots that can join them – I returned to these role-playing exercises to flesh out (literally so) the ideas involved; above all, to emphasise how every performance is different even when the script is nominally the same, and so the contingency of the performative. The [Iraqi role-player] knows or feels more than the military narrative of their experience can accommodate, exceeding the constricted functions prescribed for a hired cultural tool. Additionally, the laughscream acts as a refusal to be lived by the role and the role-players’ fraught wartime pasts. For those accused of betrayal and marginalized by their compatriots, pursued by Iraqi militias and not always trusted by the U.S. soldiers whom they worked for, that past is painful. As one role-player explained, reflecting on the harshness many Iraqis had endured: “We are turned inside out. At the same time, we can laugh and cry.” Indeed, for Iraqis who worked with the U.S. military, it is presently prohibitively dangerous to return to their former home, particularly amid the ascendance of the Islamic State. 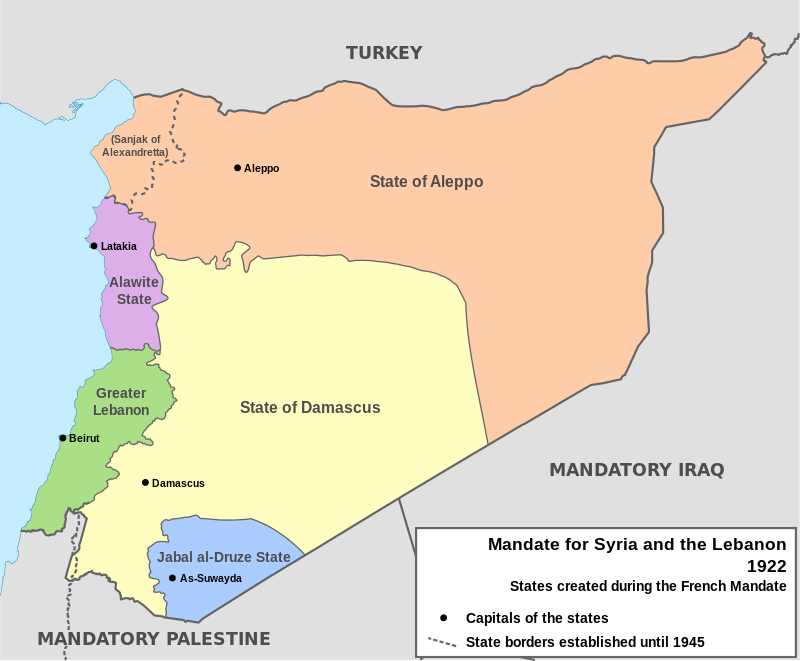 Meanwhile, due to their wartime choices, many now negotiate ongoing ambivalence and feel stranded between nations: although they were frequently ejected to the peripheries of their countries for working with the Americans, many strongly identify with Iraq and are ill at ease with full assimilation in America. As they continue to work for the U.S. military, some conceal that work from their families in Iraq, grappling with how they might be perceived. Amid these tensions, the laughscream functions in part as an actor, an agentive vector out. Laughter rises to confirm that, for the role-players at least, the Iraq of the simulation is not the Iraq of their homeland. As fake guns sound, role-players repeat themselves, becoming increasingly estranged from the original object. Yet, through laughter, the archetypal and mechanical face of country and person give way to Iraqis who live impossibly hybrid and ambivalent lives in the United States to which they have aligned at such great cost. In the parodic redeployment of power as Judith Butler has conceived it, the mechanical performance of death becomes a complexly subversive act that momentarily insinuates life into the playing of a role. But there is another reason for reading Nomi’s essay: it is so beautifully written. If, like me, you often feel assailed by the sheer grimness of so much academic prose, provoked into your own laughscream, this is a wonderful demonstration that intellectual agility and analytical depth need not involve the death of style. My academic work and my poetry are inextricable and cross-pollinating. I was a poet first. My first collection of poems, Stranger’s Notebook (TriQuarterly, 2008) was based on my time in Djerba. I was deeply moved by Carolyn Forché’s call to comprehend the impress of the social on the poetic imagination; this led me to begin conducting ethnographic fieldwork and then to become an anthropologist. By now, my anthropological engagement is essential to my poetry. As I explained in a poet’s statement some years ago, my philosophy of seeing is “deeply inflected by the anthropologist’s mandate to estrange the familiar and de-estrange the hitherto unknown.” Additionally, my work as an anthropologist sends me both toward moments of conceptual clarity and toward continuous re-complication: as the tidy military diagrams of culture remind us, the world is instead messy and tangled and contingent, as we each engage in the daily work of living and loving and getting by. I want my poems to demand that same complexity, and I only learned how to think it through the wonderful, arduous, and singular training that becoming an anthropologist demanded. What an astonishment to spend seven years shuttling back and forth between reading social theory about war, Empire, technology, migration, and laughter or political histories of America and Iraq and then witnessing the stagings of Empire itself, in its scatterings across the Middle East and the United States, as well as interviewing those whose lives had been demarcated and unmade by those very terms. These forms of seeing and knowing are to me humbling, and both my in-progress ethnographic manuscript and my forthcoming collection of poems, Kill Class, are the beneficiaries of that long academic journey. Kill Class is due from Tupelo Press later this year; the collection is based on her ethnographic fieldwork across those US military training camps. You can find her poem ‘War Game, America’ here. There’s also an earlier interview with her about her fieldwork (and her ideas about later modern war) over at the Wenner-Gren blog here: also well worth reading and savouring. All this is much on my mind because over Christmas I read Alan Hollinghurst‘s The Sparsholt Affair and luxuriated in its mesmerising prose; as with other authors I admire this isn’t a purely formal (ahem) affair, though he is undoubtedly a master stylist. Rather, you can roll the words around in your mouth, taste them and so find yourself ineluctably drawn into – rather than distracted from – the pulsing arc of the narrative: in an inversion of the metaphor with which I began, consumed by it. So too The Swimming-Pool Library and Line of Beauty. I get the same immersive pleasure from authors like Tom McCarthy (C is still one of my all-time favourite novels), Pat Barker (try Noonday) and Sarah Waters (oh, The Night Watch!). This isn’t a matter of genre either; Peter May‘s Lewis trilogy is one of the finest works of crime fiction I know, along with almost anything by the ought-to-be legendary John Harvey (also a poet). For the record, I’ve written my share of God-awful prose, especially in the early stages of my career; the fault wasn’t only the dismal Harvard reference system (though it doesn’t help at all: too many names and dates crammed into brackets you have to hurdle over in a madcap race to retain the meaning of the sentence). The colonial present was a cathartic release, in a way, because – after completing that awful opening chapter – I started to lose my academic voice. I’m not desperate to get it back, and the two books I’m working on now will, I hope, show how far I’ve come. But who, I wonder, are your favourite stylists? Postscript: For my rant about the Harvard reference system, see ‘Gregory, D.’ (DOWNLOADS tab). And there’s more on the corporeality and contextuality of (my) writing here. In The Right to Maim Jasbir K. Puar brings her pathbreaking work on the liberal state, sexuality, and biopolitics to bear on our understanding of disability. 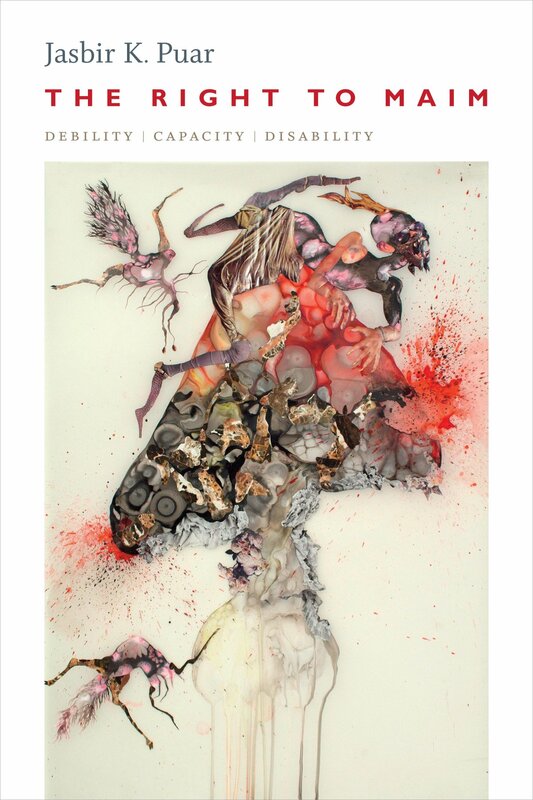 Drawing on a stunning array of theoretical and methodological frameworks, Puar uses the concept of “debility”—bodily injury and social exclusion brought on by economic and political factors—to disrupt the category of disability. She shows how debility, disability, and capacity together constitute an assemblage that states use to control populations. Puar’s analysis culminates in an interrogation of Israel’s policies toward Palestine, in which she outlines how Israel brings Palestinians into biopolitical being by designating them available for injury. Supplementing its right to kill with what Puar calls the right to maim, the Israeli state relies on liberal frameworks of disability to obscure and enable the mass debilitation of Palestinian bodies. Tracing disability’s interaction with debility and capacity, Puar offers a brilliant rethinking of Foucauldian biopolitics while showing how disability functions at the intersection of imperialism and racialized capital. In signature style, Jasbir K. Puar takes readers across multiple social and textual terrains in order to demonstrate the paradoxical embrace of the politics of disability in liberal biopolitics. Puar argues that even as liberalism expands its care for the disabled, it increasingly debilitates workers, subalterns, and others who find themselves at the wrong end of neoliberalism. Rather than simply celebrating the progressive politics of disability, trans identity, and gay youth health movements, The Right to Maim shows how each is a complex interchange of the volatile politics of precarity in contemporary biopower. Jasbir K. Puar’s must-read book The Right to Maim revolutionizes the study of twenty-first-century war and biomedicine, offering a searingly impressive reconceptualization of disability, trans, and queer politics. Bringing together Middle East Studies and American Studies, global political economy and gendered conflict studies, this book’s exciting power is its revelation of the incipient hegemony of maiming regimes. Puar’s shattering conclusions draw upon rigorous and systematic empirical analysis, ultimately offering an enthralling vision for how to disarticulate disability politics from this maiming regime’s dark power. 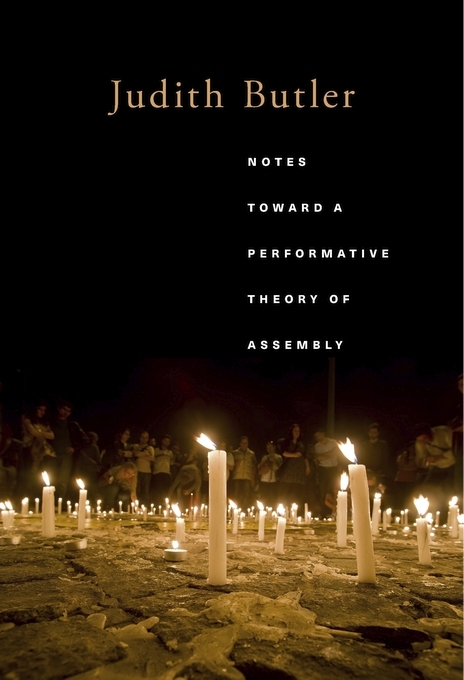 Jasbir K. Puar’s latest book offers us a new vocabulary for understanding disability, debility, and capacity, three terms that anchor a sharp and provocative analysis of biopolitics of neoliberalism, police power, and militarization. Gaining recognition for disability within terms that instrumentalize and efface its meanings carries a great risk. So too does opting out of discourse altogether. Puar references a wide range of scholarly and activist resources to show how maiming becomes a deliberate goal in the continuing war on Palestine, and how the powers of whiteness deflect from the demographics of disability and ability. Lastly, her deft understanding of how the attribution of ‘capacity’ can work for and against people in precarious positions will prove crucial for a wiser and more radical struggle for justice. If you can’t wait until November, you can get a taste of Jasbir’s arguments in her essay for borderlands 14 (1) (2015) ‘The ‘Right’ to Maim: Disablement and Inhumanist Biopolitics in Palestine‘ available as an open access pdf here. I’ve been attending closely to Jasbir’s vital arguments as I re-think the sketches I made in Meatspace? and The prosthetics of Military Violence: more soon. Several years ago, while my work on the geographies and genealogies of aerial violence was in its early stages, I was in Madrid: one of my main objectives was to see Pablo Picasso‘s Guernica. In 1937 Europe’s world was turned upside down. 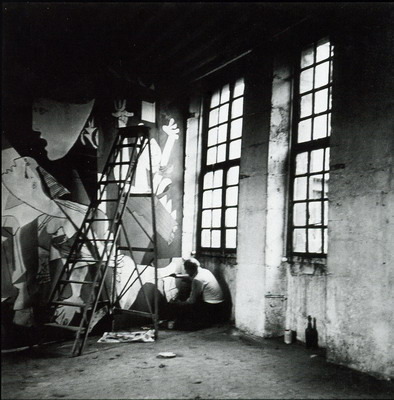 The theme of the Exposition Universelle that was due to open in Paris later that year was the celebration of modern technology, ‘Art et technique dans la vie moderne’, and Pablo Picasso had been invited to paint a mural for the Spanish Pavilion. By the spring, he was still casting around for a subject. 27 April was market day in Guernica (Gernika), and the Basque city was crowded with refugees from the Civil War and people from out of town attending the market. Towards the end of the afternoon, the town was attacked from the air: first by a single German aircraft, then by three Italian aircraft, then by three waves of German and Italian aircraft. Later, in the early evening, the attack was resumed with astonishing ferocity by squadrons from the German Condor Legion whose high explosive and incendiary bombs set off a firestorm that destroyed three quarters of the town and left as many as 1, 600 people dead and over 800 injured. 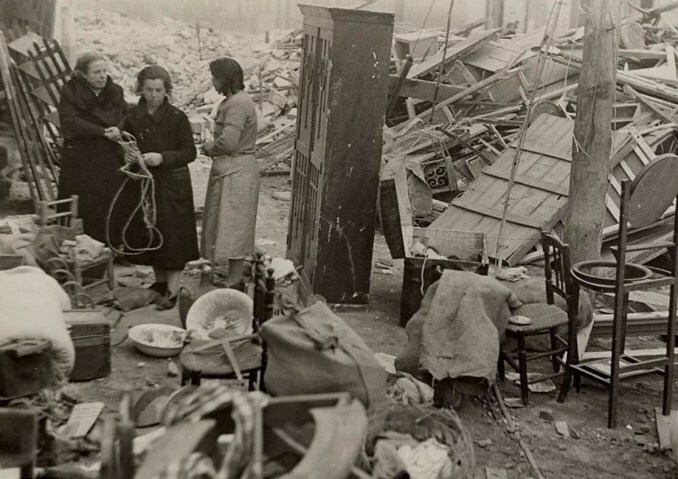 The next day a passionate eyewitness account of the devastation by journalist George Steer was published in The Times [see here for a reading of his report by his biographer Nicholas Rankin and for more contemporary imagery]. His report was syndicated around the world and set off a firestorm of its own. 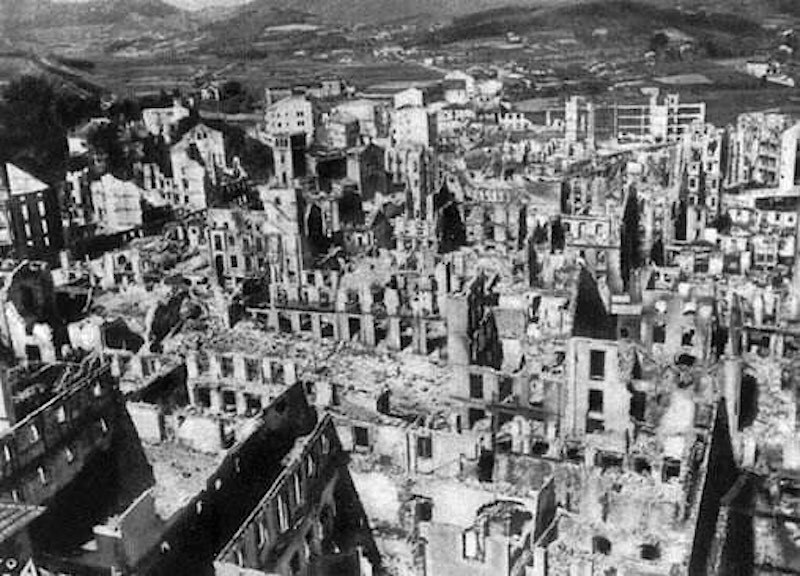 Franco’s immediate response was to deny that an air raid had taken place, and to blame the destruction on Republican and Anarchist forces defending the town. The commander of the Condor Legion, Wolfram von Richthofen, claimed that the raid had been directed against a military target, the bridge over the Rio Mundaca, and that its purpose was to cut off the Republican line of retreat; but his own standing orders required military targets to be attacked ‘without regard for the civilian population’, and in a secret report to Berlin he described ‘the concentrated attack on Guernica’ as ‘the greatest success’ in extinguishing resistance to the Nationalist-Fascist forces. ‘Guernica’ as both place and painting became a symbol of a technological sublime terrifyingly different from that anticipated by the organizers of the Exposition Universelle. It was a sort of imaginative counter-geography that wrenchingly displaced the complacent Euro-American fiction that aerial warfare was always waged in ‘their’ space and that its horrors could remain unregistered. But, as you can see, I said remarkably little about the canvas itself. And I confess that when I finally stood in front of it in Madrid I continued to struggle with the composition. What marks Guernica off from most other murals of its giant size is the fact that it registers so powerfully as a single scene. Certainly it is patched together out of fragments, episodes, spotlit silhouettes. Part of its agony is disconnectedness – the isolation that terror is meant to enforce. But this disconnectedness is drawn together into a unity: Guernica does not unwind like a scroll or fold out like a strip cartoon (for all its nods to both idioms); it is not a procession of separate icons; it is a picture – a distinct shape of space – whose coherence is felt immediately by the viewer for all its strangeness. ‘Space’ is shorthand, I recognise. In the case of Guernica, what seems to matter most is the question of where the viewer is standing in the bombed city. Are we inside some kind of room? There are certainly walls, doors, windows, a table in the half-dark, even the dim lines of a ceiling. But doesn’t the horse opposite us look to be screaming in a street or courtyard, with a woman holding a lamp pushing her head through a window – a filmy curtain billowing over her forearm – to see what the noise is outside? Can we talk of an ‘outside’ and ‘inside’ at all in Guernica? Are the two kinds of space distinct? We seem to be looking up at a room’s high corners top left and right, but also, above the woman with the lamp, at the tiles on a roof. There is a door flapping on its hinges at the picture’s extreme right edge, but does it lead the way into safety or out to the void? How near to us are the animals and women? If they are close by, as appears likely, looming over us – so many giants – does that proximity ‘put us in touch’ with them? Does proximity mean intimacy? How does the picture’s black, white and grey monochrome affect our looking? Does it put back distance – detachment – into the scene, however near and enormous individual bodies may seem? Where is the ground in Guernica? Do we have a leg (or a tiled floor) to stand on? Literally we do – the grid of tiles is one of the last things Picasso put in as the picture came to a finish. But do any of the actors in the scene look to be supported by it? Does it offer viewers a foothold in the criss-cross of limbs? The reader will have understood that the best answer to almost all of these questions is: ‘I’m not sure.’ And spatial uncertainty is one key to the picture’s power. It is Picasso’s way of responding to the new form of war, the new shape of suffering. The fact is that this dropping of bombs from the sky has a unique power of spreading terror … A man is always afraid of dying, but particularly so when to death is added the threat of complete physical disintegration. No doubt this is a peculiarly illogical manifestation of the instinct of self-preservation, but its roots are very deep in human nature. Bombing of the kind experimented with in April 1937 – ‘carpet bombing’, ‘strategic bombing’ ‘total war’ – is terrifying. Because the people on the ground, cowering in their shelters, may imagine themselves suddenly gone from the world – ripped apart and scattered, vanished without trace. Because what will put an end to them so completely comes out of the blue – Picasso’s ‘from heaven’ – and has no imaginable form. Because death from now on is potentially (‘strategically’) all-engulfing: no longer a matter of individual extinctions recorded on a war memorial, but of whole cities – whole ‘worlds’, whole forms of life – snuffed out in an hour or so. It is difficult, maybe impossible, to describe what is happening here without one’s language tipping into the falsely redemptive. Nothing that takes place in Guernica, to make my own feeling clear, strikes me as redeemed or even transfigured by the picture’s black-and-white reassembly of its parts. Fear, pain, sudden death, disorientation, screaming immediacy, disbelief, the suffering of animals – none of these realities ‘falls into place’. Judith Butler in a recent essay, looking for a basis on which a future politics might be built, asks her readers to consider the idea of a collectivity founded on weakness. ‘Vulnerability, affiliation and collective resistance’: these, she argues, are such a commonality’s building blocks. I believe that Guernica’s usefulness – its continuing life in so many different contexts – may derive from the fact that it pictures politics in much the same way. My extended extracts don’t do justice to the richness and the subtlety – nor the passion – of the original, which is easily the best essay I’ve read all summer – and long before. So, two resolutions: I want to go back to Madrid; and I want to say much more about Picasso’s unsettling composition and its continuing resonance in my next book, Reach from the sky: aerial violence and the everywhere war. 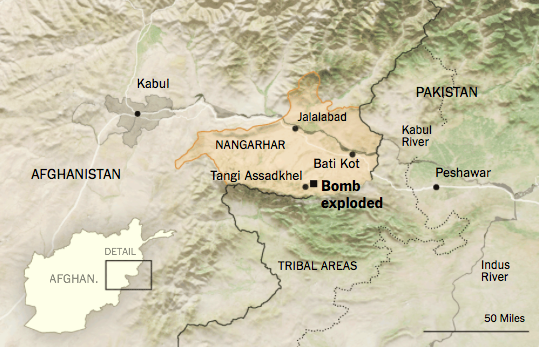 It’s the last of these claims that concerns me here: bombing represented as ‘law-full’. In the lectures I discussed the legal armature of aerial violence – referring to the combined bomber offensive against Germany in the Second World War Air Chief Marshall Arthur Harris famously insisted that ‘In this matter of the use of aircraft in war there is, it so happens, no international law at all’, a claim that was, I suppose, literally true in so far as it applied to the specific application of air power; I tried to show what has (and has not) changed since then, not least through the development of international humanitarian law and the juridification of later modern war – and the insistence that air power is an effective means of imposing a legal order on the nominally ‘lawless’ (a claim registered through colonial ‘air policing’ and continued in the US and Pakistan air strikes on the Federally Administered Tribal Areas of Pakistan: see ‘Dirty Dancing’ (DOWNLOADS tab). [B]oth the decision to name this weapon MOAB and the decision to deploy it in Afghanistan is tightly linked with what Judith Butler called a “new military convention” begun by Colin Powell when he described the deployment of “smart bombs” during the first Iraq War as “the delivery of ordnance.” In “Contingent Foundations,” Butler noted that Powell “figures an act of violence as an act of law” by substituting “ordnance” (munitions, agents of destructive violence) for “ordinance” (a law or decree). Powell’s speech act, apparently delivered in an unscripted moment during a press conference in January 1991, is an important instance of the “illocutionary force” of language that Butler explores throughout the work she did in the late 1990s and early 2000s — her most impressive and important work in my view. 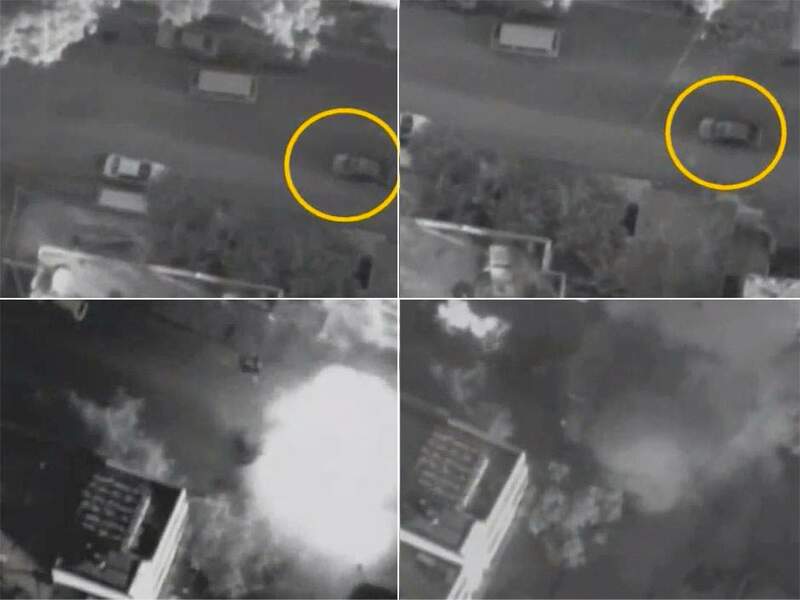 This aerial bombardment of Iraqi installations with technologically advanced munitions, viewable in real time on network and cable TV for the first time, was itself a phenomenon. But it was the declaration that such a display in itself was an act of law enforcement that truly brought us into a new era. An era in which, thanks to Powell and the Bush (41) administration, the alignment of violence and law against a regime that violates international law figures state violence, even where it might be in contradiction of international agreements, as the very agent of law and legitimation. Watching the media response to the recent deployment of MOAB in Afghanistan, it is clear we still haven’t learned Butler’s lesson. The deeper resonance of reading this particular ordnance as a form of ordinance requires that we attend to a different resonance of its chosen acronym, MOAB. Not the “Mother of All Bombs” nomenclature, which bespeaks its terrifying awesomeness — in the literal sense of the term “awesome,” connoting utter sublimity. That is part of the story too, but it is not the heart of it. Rather, continuing Butler’s pursuit of the line of thought by which Saddam (Hussein) was recast as (the Biblical) Sodom, we must turn instead to the Biblical Moab, patriarch of the Moabites. Crucially, we must bear in mind that, within the Hebrew Bible, this people, whose lands lay across the Dead Sea, is cast as a hostile neighboring people — indeed, the Moabites are depicted as the neighboring tribe most inherently in conflict with the people of Israel. Viewed in this light, there is continuing power in Powell’s fantasy that the deliverance of ordnance is the way “we” publicly declare the ordinance that those who defy international law will be vanquished by the synthesis of law and force executed by the United States military as the leader the coalition of the willing. This vision remains the reigning principle behind the self-image of the United States as an actor on the international scene. And this is so because, deeply steeped in an “Old Testament morality” (a morality wherein the enemies of the United States are figured as the ancient enemies of the people of Israel), this vision justifies a view of America as the model exemplar of a “Judeo-Christian” civilization. A civilization that is — as it ever was — waging a war, engaging in a “clash of civilizations.” Of course we would name our most deadly non-nuclear weapon “Moab” (or M.O.A.B., if you like): what other name than that of the oldest and deepest “frenemy” of Israel could the United States military have possibly dreamt up? There is more that could be said, I think, especially if one stays with Butler and thinks of this episode as a speech-act. After all – and repeating a line that was repeated endlessly during the Rolling Thunder campaign against North Vietnam – MOAB was originally developed in 2002 for the ‘Shock and Awe’ campaign that heralded the US-led invasion of Iraq, and the Pentagon claimed that deploying the MOAB was an act of communication (really): it sent ‘a very clear message’ to IS that it would be ‘annihilated‘. (The message-in-a-bomb line shouldn’t be confused with the terse messages that ground crews have scrawled on bombs in war after war after war, and I suppose it is less grotesque than the description of bombing Syria as a form of ‘after-dinner entertainment‘ for the US President – which sends an even more terrifying message to anyone with a shred of decency or understanding). He’s got a point. There is a dark history of Western military powers testing novel weapons and strategies on technologically overmatched non-Western (and non-white) populations. It’s a legacy that mixes the brutal arrogance of colonialism with the technological promise of an easy fix. There are of course numerous examples of this cruel dynamic at play in the centuries leading up to the 20th — conquistadors with dogs and swords, gunpowder in general — but the disparity that currently exists between the material advantages of Western countries and the technological capability of enemies abroad continues to be exploited in ways that conform to a recognizable pattern. PS Much as I’ve enjoyed Michael’s essay, I think Stephen Fry also had a point. In July 2015 the International Critical Geography Group convened its seventh conference in the occupied city of Ramallah, Palestine. The conference brought together scholars and activists committed to combating social exploitation and oppression. Altogether four hundred participants from over forty countries energetically took up issues on and beyond the violent frontlines of class, gender, race, sexual, and colonial divisions. Yet they also took critical steps beyond discussion and debate of our intellectual work towards concrete collective action. An example of this was the overwhelmingly vote of conference participants for a strong resolution to sign onto the Palestinian Academic and Cultural Boycott and the broader Boycott Divestment and Sanctions (BDS) campaign against Israel. The resolution adopted is both a political statement in solidarity with the anti-colonial struggle of our Palestinian comrades but also an agenda for a broader commitment to anti-capitalist, decolonial, anti-racist, feminist and queer social movements and struggles around the world against growing social, economic and political precarity, rising authoritarianism, encroachment of fundamental rights, dispossession, structural adjustment in the south and north, revanchism, ongoing colonization of public space, land and resources, the privatization of the commons, as well as structural and state-sanctioned violence against racialized, gendered, queer bodies, and other targeted bodies and communities. Building on the momentum generated by the conference and this resolution, this discussion panel aims to open up a serious discussion about BDS and the academic boycott of Israel within the Association of American Geographers. This is, we believe, particularly relevant in light of the current situation in Palestine/Israel but also taking into consideration how academics from other professional organisations such as the American Anthropological Association, the Association for Asian American Studies, the American Studies Association and the Native American Studies Association, as well as a number of student councils worldwide, have already endorsed this call for solidarity. Our distinguished panel of scholars and activists will speak out about the importance and the urgency to adopt a political stand on Palestine and to further the work of decolonizing the discipline of geography. In doing so, we hope to reaffirm a commitment to critical scholarship and praxis by encouraging and enabling spaces of political and conceptual possibility for geographers in solidarity with ongoing socio-political, economic and environmental struggles around the globe. Activism is in fact the antagonist of complacency and of the satisfaction with familiar protocols that dulls thinking and makes the institutionalized academic a little stupid. But activism is not always expressed in headlong mobilization or fervent debates, nor is thought only the forethought that shapes or the afterthought that reflects on practice. As “Benjamin in Palestine” exemplified, it can also take the form of deliberate thinking in common whose very exercise is a form of resistance, however limited. As the BDS movement continues to advance, perhaps workshops like these, which step beyond mere “severance of relations” (as Benjamin described the act of striking) to shape conditions for new modes of relation, may offer a way to think the future of our resistance to Israeli apartheid. Perhaps too it offers a model also for an alternative to the insidious corporatization of our intellectual and creative lives under the neoliberal dispensation we all confront, wherever we reside, and not only in occupied Palestine. That, indeed, may be the insight we have been gifted by those who daily struggle for the right to education in the face of dispossession. In its way this, too, is a modestly performative politics of assembly. So it’s good to see that panelists at the AAG plenary include this year’s Honorary Geographer, Judith Butler; full list is here. You can find Judith’s previous remarks on BDS (at Brooklyn College) here. You can also find out much more about the American Anthropological Association’s stand (last year) here; the statement that accompanied the successful resolution is here; a series of FAQs (“Yes, but…”) is here; and other resources are here. It’s opportune, too, that the latest issue of borderlands should be devoted to The politics of suffering – with a special focus on occupied Palestine. Among the many truly excellent essays three stand out for me. In the context of the 2009 atrocities in Lanka, in this paper I attempt to think through a set of questions about visibility, witness, suffering, accountability and disposability as they are played out in the relations between the necro-geo-politics of global institutions and the patchworks of local and transnational movements that attempt to materialize peoples’ suffering and realize the possibility of justice within fragile and compromised frameworks. In this essay, I work to develop what I term multi-dimensional matrices of suffering that envisage the understanding of suffering beyond the locus of the human subject. In my theorising of multi-dimensional matrices of suffering, I proceed to conceptualise the suffering experienced in occupied zones as both relational and distributed. In the occupied zone, suffering encompasses complex, multi-dimensional vectors that bind humans, animals, animate and non-animate objects and entities, buildings and land. In the context of the regimes of violence that inscribe occupied zones, I situate suffering, and a range of other affects, in ecological configurations that, through a range of forensic indices, evidence the impact of these regimes of violence on the broad spectrum of entities that comprise a particular occupied zone. The conceptualisation of suffering and trauma in occupied zones in terms of its relational multi-dimensionality, its site-specific matrices and relational distribution across ecologies, I conclude, enables an understanding of suffering that moves beyond anthropocentric approaches. I situate my analysis in the context of Israel’s drone-enabled regime of unrelenting surveillance, occupation and military control over Gaza [see image above] and its continuing occupation of East Jerusalem. It really is a tour de force, only too literally so, and builds not only on Joe’s brilliant State violence and the execution of law and his previous research but also on Jane Bennett‘s work and – as the title signposts – on Eyal Weizman‘s project of forensic architecture. It’s doubly important because so much critical writing on military drones has virtually nothing to say about Israel’s use (and sale) of them. This essay argues that Israel manifests an implicit claim to the ‘right to maim’ and debilitate Palestinian bodies and environments as a form of biopolitical control and as central to a scientifically authorized humanitarian economy. In this context, the essay tracks the permeating relations between living and dying that complicate Michel Foucault’s foundational mapping of biopower, in this case, the practice of deliberate maiming. 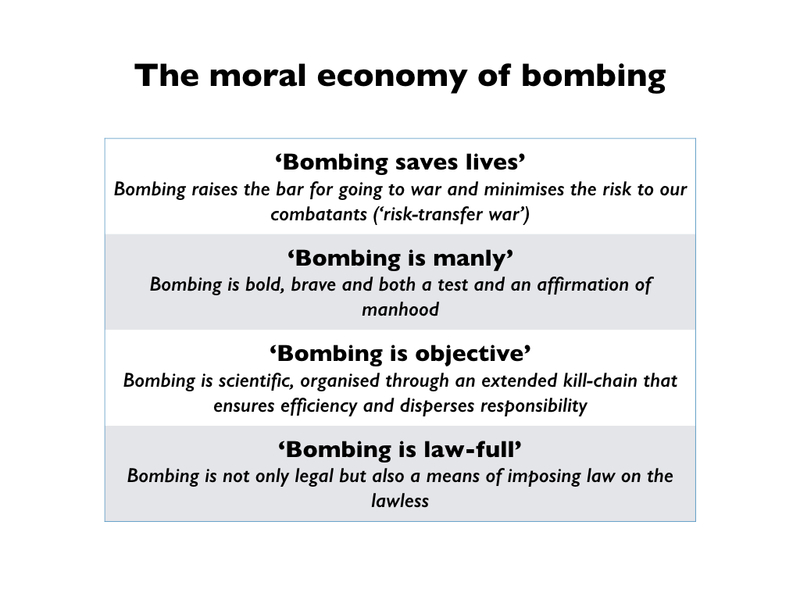 In doing so it demonstrates the limitations of the idea of ‘collateral damage’ that disarticulates the effects of warfare from the perpetration of violence, and notes that the policy of maiming is a productive one, a form of weaponized epigenetics through the profitability of a speculative rehabilitative economy. This too is meticulously argued and imaginatively constructed, and adds important dimensions to my posts about Israel’s war on Gaza and, in particular, my preliminary speculations about the prosthetics of military violence. Islamic State has claimed responsibility for last night’s co-ordinated terrorist attacks in Paris, calling them the ‘first of the storm’ and castigating the French capital as ‘the capital of prostitution and obscenity’. Walter Benjamin‘s celebrated ‘capital of the nineteenth century’ has been called many things, of course, and as I contemplated the symbol that has now gone viral (above), designed by Jean Jullien, I realised that Paris had been the stage for the 1919 Peace Conference that not only established the geopolitical settlement after the First World War but also accelerated the production of today’s ‘Middle East’ by awarding ‘mandates’ to both Britain and France and crystallising the secret Sykes-Picot agreement struck between the two powers in 1916 (more on that from the Smithsonian here). 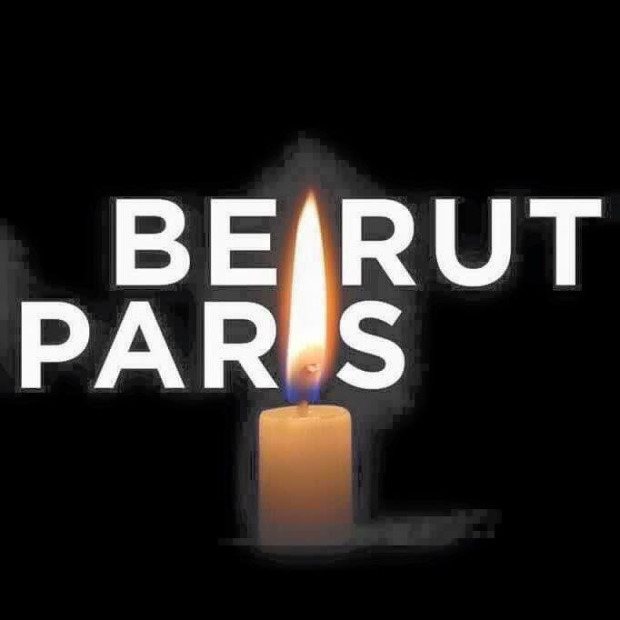 For as I watched Friday night’s terrifying events in Paris unfold, I had also been reminded of the horrors visited upon Beirut the evening before. Two suicide bombers detonated their explosives in Burj el-Barajneh in the city’s southern suburbs; the attacks were carefully timed for the early evening, when the streets were full of families gathering after work and crowds were leaving mosques after prayers: they killed 43 people and injured more than 200 others. 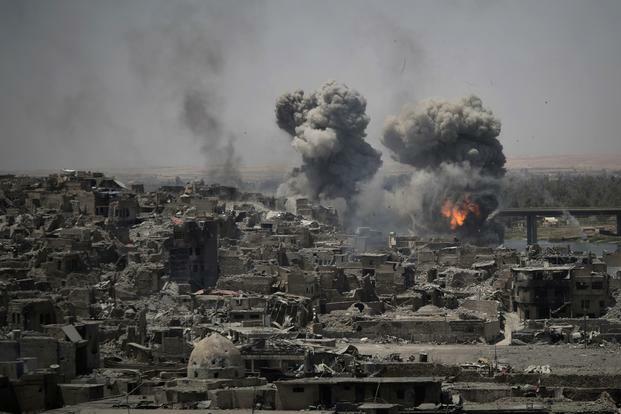 Islamic State issued a statement saying that ’40 rafideen– a pejorative term for Shiite Muslims used by Sunni Islamists – were killed in the “security operation”’ and claimed the attacks were in retaliation for Hezbollah’s role in the Syrian war. 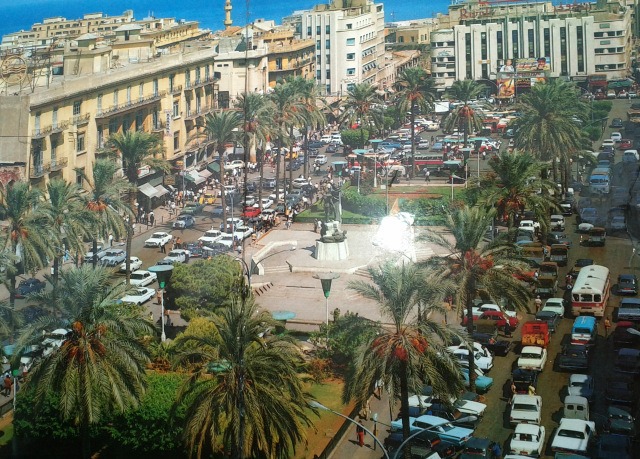 In the 1950s and 60s Beirut was known as ‘the Paris of the Middle East’ (above) – widely seen as more chic, more cosmopolitan than the ‘Paris-on-the-Nile’ created by Francophile architects and planners west of the old city of Cairo in the late nineteenth and early twentieth centuries. Now I’ve always been troubled by these city switchings – the ‘Venice of the North’ is another example – because they marginalise what is so distinctive about the cities in question and crush the creativity that is surely at the very heart of their urbanity. And yet, after last night, I can see a different point in the politics of comparison (from Kennedy’s Ich bin ein Berliner to the post 9/11 insistence that “we are all New Yorkers…”). More accurately, in the politics of non-comparison: as Chris Graham asks (and answers): why the silence over what happened in Beirut on Thursday? Why no mobilisation of the news media and no interruptions to regular programmes on TV or radio? Why no anguished personal statements from Obama, Cameron or, yes, Hollande? I woke up this morning to two broken cities. My friends in Paris who only yesterday were asking what was happening in Beirut were now on the opposite side of the line. Both our capitals were broken and scarred, old news to us perhaps but foreign territory to them…. Here we might pause to remind ourselves that most of the victims of Islamic State have been Muslims (see, for example, here and here). Of course, the attack on the French is an attack on humanity, but is an attack on a Lebanese, an Afghan, a Yazidi, a Kurd, an Iraqi, a Somali, or a Palestinian any less an attack “on all of humanity and the universal values that we share”? What is it exactly that a North American and a French share that the rest of humanity is denied sharing? What exactly are these French and British values? Can, may, a Muslim share them too – while a Muslim? Or must she or he first denounce being a Muslim and become French or British before sharing those values? These are loaded terms, civilisational terms, and culturally coded registers. Both Obama and Cameron opt to choose terms that decidedly and deliberately turn me and millions of Muslims like me to their civilisational other. They make it impossible for me to remain the Muslim that I am and join them and millions of other people in the US and the UK and the EU in sympathy and solidarity with the suffering of the French. 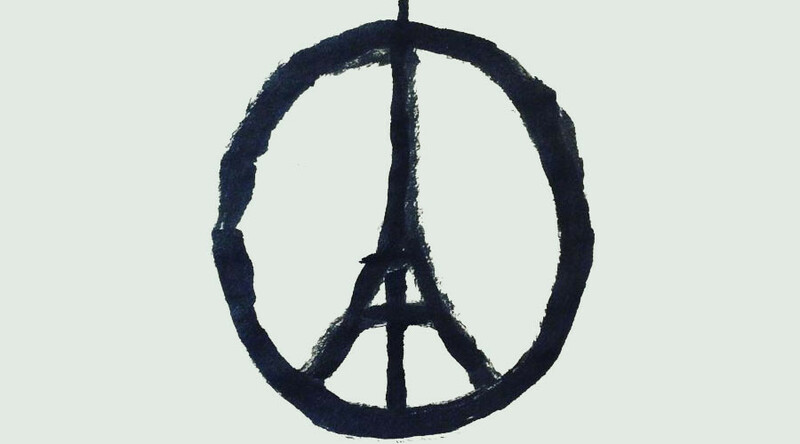 As a Muslim I defy their provincialism, and I declare my sympathy and solidarity with the French; and I do so, decidedly, pointedly, defiantly, as a Muslim. When Arabs or Muslims die in the hands of the selfsame criminal Islamic State of Iraq and the Levant (ISIL) gangs in Afghanistan, Iraq, Syria, or Lebanon, they are reduced to their lowest common denominator and presumed sectarian denominations, overcoming and camouflaging our humanity. But when French or British or US citizens are murdered, they are raised to their highest common abstractions and become the universal icons of humanity at large. Why? Are we Muslims not human? Does the murder of one of us not constitute harm to the entire body of humanity? Elie’s and Hamid’s questions are multiple anguished variations of Judith Butler‘s trenchant demand: why are these lives deemed grievable and not those others? To ask this is not to minimise the sheer bloody horror of mass terrorism in Paris nor to marginalise the terror, pain and suffering inflicted last night on hundreds of innocents – and also affecting directly or indirectly thousands and thousands of others. In fact the question assumes a new urgency in the wake of what happened in Paris – where I think the most telling comparison is with Beirut and not with the attacks on Charlie Hebdo (see my commentary here) – because the extreme right (the very same people who once elected to stuff “Freedom Fries” down their throats) has lost no time in using last night’s events to ramp up their denigration of Syrian refugees and their demands for yet more bombing (and dismally failing to see any connection between the two). You can see something of what I mean here. More from Ben Norton here. The imaginative geographies of Islamic State overlap with those spewed by the extreme right in Europe and North America and, like all imaginative geographies, they have palpable effects: not fifty shades of grey but fifty versions of supposedly redemptive violence. UPDATE (1): For more on these questions – and the relevance of Butler’s work– see Carolina Yoko Furusho‘s essay ‘On Selective Grief’ at ‘Critical Legal Thinking here. My wager is that the discourse on liberty will be important to track in the coming days and weeks, and that it will have implications for the security state and the narrowing versions of democracy before us. One version of liberty is attacked by the enemy, another version is restricted by the state. The state defends the version of liberty attacked as the very heart of France, and yet suspends freedom of assembly (“the right to demonstrate”) in the midst of its mourning and prepares for an even more thorough militarization of the police. The political question seems to be, what version of the right-wing will prevail in the coming elections? And what now becomes a permissable right-wing once le Pen becomes the “center”. Horrific, sad, and foreboding times, but hopefully we can still think and speak and act in the midst of it. Mourning seems fully restricted within the national frame. 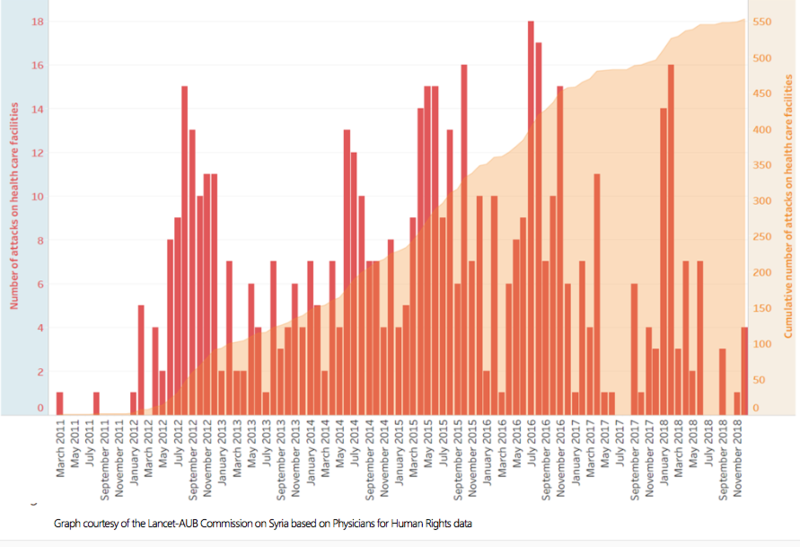 The nearly 50 dead in Beirut from the day before are barely mentioned, and neither are the 111 in Palestine killed in the last weeks alone, or the scores in Ankara. Most people I know describe themseves as “at an impasse”, not able to think the situation through. One way to think about it may be to come up with a concept of transversal grief, to consider how the metrics of grievability work, why the cafe as target pulls at my heart in ways that other targets cannot. It seems that fear and rage may well turn into a fierce embrace of a police state. I suppose this is why I prefer those who find themselves at an impasse. That means that this will take some time to think through. It is difficult to think when one is appalled. It requires time, and those who are willing to take it with you – something that has a chance of happening in an unauthorized “rassemblement” [gathering]. 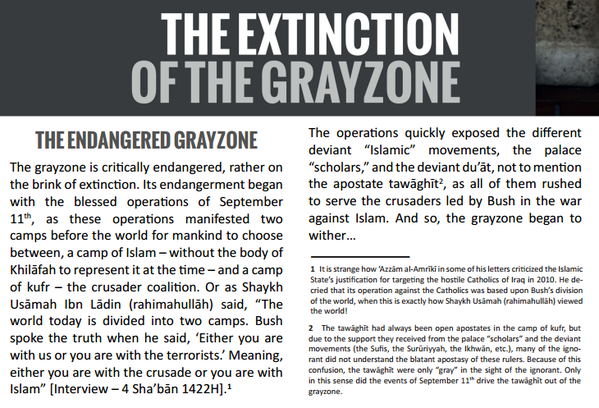 UPDATE (2): At Open Democracy Nafeez Mossadeq Ahmed has a helpful essay, ‘ISIS wants to destroy the “grey zone”: Here’s how we defend it’: access here.